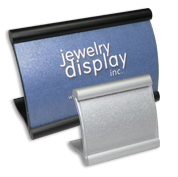 Explore our metal holders section and find durable pieces for your store! Place these signs in front of your place and advertise your collections! Get the best deals thanks to our wholesale discounts!